Soros and his ‘226 EU friends’ thrust into spotlight by Farage – so who are they? Picking up the anti-Soros torch from Hungarian leader Viktor Orban, UK politician Nigel Farage is seeking to investigate fellow EU MEPs who support the controversial vision of the wealthy financier. But are Orban and Farage’s fears valid? UK politician Nigel Farage, the prominent face of Brexit, is now concerned about Europe’s destiny. Addressing the EU Parliament this week, Farage provided some thoughtful ideas as to the source of the claims that Russia had somehow manipulated the Brexit vote, as well as the Trump election. 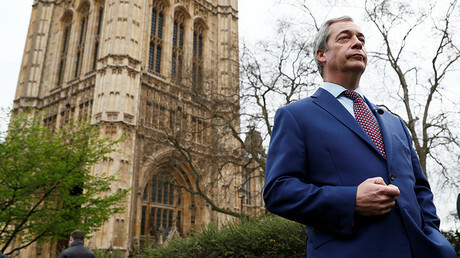 “Just last week, the electoral commission, in the UK, launched an investigation to find out whether the ‘Leave’ campaign took offshore money or Russian money,” Farage said. “We even had last week Mr. [Guy] Verhofstadt lobbying on behalf of Mr. Soros at the Conference of Presidents in a battle that is going on with Viktor Orban, the prime minister of Hungary,” Farage said, pointing directly at Verhofstadt as he spoke. Farage described Soros’s influence in Strasbourg and Brussels as “truly extraordinary.” And that influence looks set to increase dramatically now that Soros has donated the bulk of his wealth - $18 billion - into his Open Society pet project, which campaigns for open borders and supranational structures such as the European Union. On the surface, there seems to be some legitimacy to Farage’s claim. According to public sources, Open Society European Policy Institute (OSEPI), the EU policy arm of Open Society Foundations, met with members of the European Commission on 44 separate occasions in 2016. And now that the organization has just been energized with $18 billion, it would seem apparent that that influence is set to increase. Moreover, the Soros organizations published a pamphlet providing details on a list of 226 reliable “friends” who serve in the European Parliament. Farage said he would call on the parliament to set up a special committee to investigate the issue. 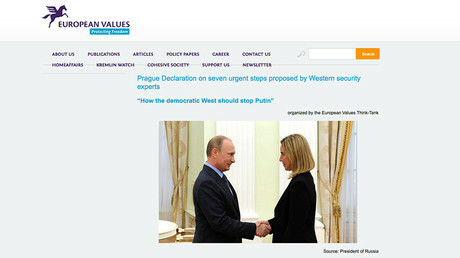 In a 177-page pamphlet published by Open Society, entitled “Reliable Allies in the European Parliament (2014-2019),” 226 EU MEPs are listed and labeled according to their political orientation and views. According to the pamphlet, “The presence of an MEP in this mapping indicates that they are likely to support Open Society’s work. Considering there are 751 members of the European Parliament, “reliable allies” of George Soros hold at least one-third of seats." So what sort of qualifications does an MEP need to be included among Open Society’s “reliable allies?” A quick preview of the candidate’s description field provides some good indication as to what Soros expects from his allies, including a political philosophy that includes support of the LGBTI (lesbian, gay, bisexual, transgender, and/or intersex) movement, open borders and an anti-Russia stance. Another MEP on the list, Monica Macovei of Romania, serves as something like the golden mean for star-studded Soros status. When reading such an assessment, one might get the mistaken impression that the European Parliament is designed to serve the will of George Soros and his highly controversial agenda, as opposed to the will of the European peoples. 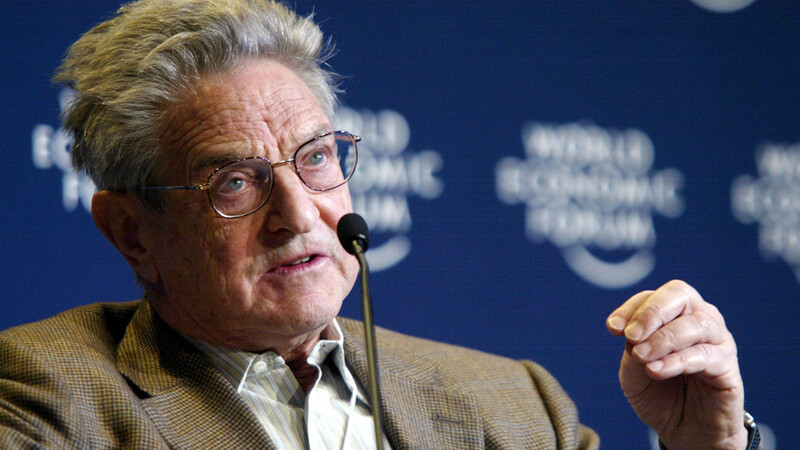 To say that George Soros, who was born and raised in Budapest, Hungary, has an influence on the global scene, would be the understatement of the century. His excessive wealth allows him to finance a veritable army of organizations, many serving at cross purposes. 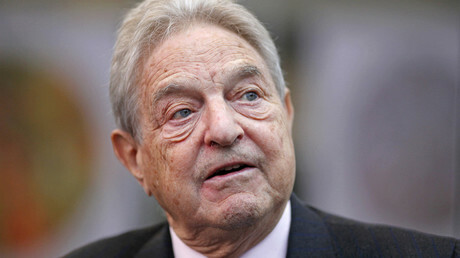 Indeed, Soros, 87, has been connected to movements and civil disturbances as diverse as distanced as Black Lives Matter movement in the US, to the Maidan uprising in Ukraine. And nowhere has Soros’s influence been more felt than in the ongoing European debate over migrants. It looks like the European refugee crisis, which has been blamed on the Syrian civil war, would not occur in its current intensity without the direct assistance of the Open Society Foundation. Thanks to the advocacy work of the Migration Policy Institute and the Platform for International Cooperation on Undocumented Migrants (PICUM), both Soros-sponsored organizations, the mass resettlement of Muslims from the Middle East and North Africa into Europe became the norm. In fact, it appeared that the so-called “Merkel Plan” – the deal struck by the EU and Turkey – was the brainchild of the European Stability Initiative, “in addition to the largesse of George Soros’ foundations,” F. William Engdahl wrote in the Near Eastern Outlook. Considering that the massive influx of Muslim migrants threatens to change the face of “Christian Europe” forever, and without any vote on the matter by the people of Europe, perhaps it is time to see exactly what kind of direct influence George Soros and his Open Society Foundation are having on European parliamentarians. After all, these are not the play toys of any one individual, but the representatives of an entire state.